At least 35 people were killed and 13 wounded after air strikes at a small hotel near the Yemeni capital Sanaa, a local medic said, according to Reuters. Since then, thousands of people have been killed in the conflict, majority civilians. 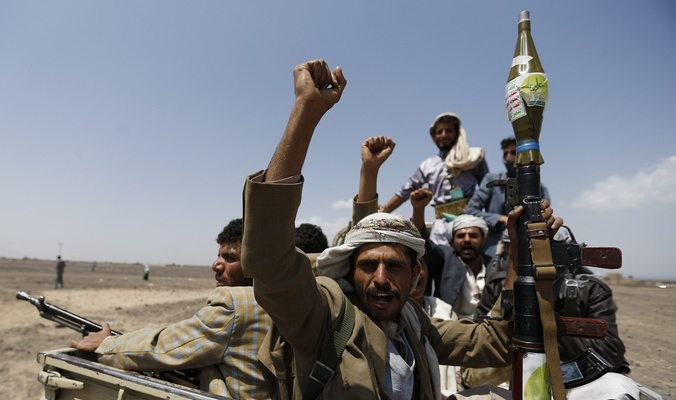 Houthi rebels were apparently the target of Wednesday's air raid, which hit Muntazah al-Shabab li-Rihla wa-Nawm - a popular hotel in Arhab district 35km north of the capital. The number of air strikes per month is now three times higher than a year ago and monthly reports of armed clashes are up 50 percent, he said. "The war escalated in March 2015 when a Saudi-led coalition began an air campaign aimed at pushing the rebels back into their northern stronghold". The Saudi officials were not immediately available to comment. Bodies were still being retrieved from the rubble, witnesses said. The coalition has been also imposing a blockade on the impoverished country's ports and airports as a part of his aggression which is aimed at restoring power to fugitive former president Abdrabbuh Mansour Hadi. They also slammed Saudi Arabia's blockade of Yemen that has caused severe food and medicine shortages and led to fast-spreading epidemics. Activists have called upon Western countries, including the United States and Britain, to cease their military support for the coalition. Wednesday's hotel bombing comes amid stepped-up airstrikes in and around Sanaa, with army compounds and other Houthi locations targeted. Saleh's supporters are planning a major rally in the capital on Thursday to commemorate the 35th anniversary of the founding of the General People's Congress, Saleh's political party that controlled the Middle East nation for more than three decades. Saleh had recently made a speech during which he labeled the Houthis a "militia", which the Houthis say has "transgressed a red line".